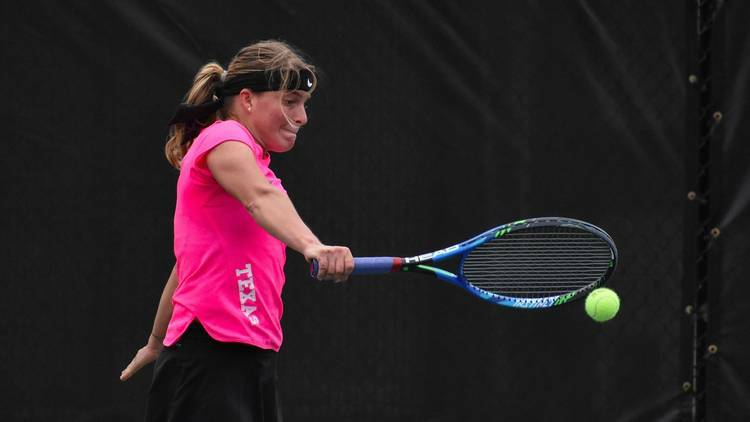 Bianca Turati defeated Julia Elbaba 2-6, 6-0, 6-4 to advance to the round of 16 at the International Tennis Federation pro circuit event in Florence, S.C., Wednesday. Turati will face Maria Mateas Thursday as a result. On Tuesday, Turati defeated Saifya Carrington 6-4, 7-6 (7-0) in the final round of singles qualifying. Turati’s twin sister, Anna, fell to Hanna Chang 6-3, 6-0 in the final round of singles qualifying. Anna Turati won twice before bowing out of competition Wednesday. Bianca Turati entered the tournament ranked No. 474 in the WTA world singles rankings. She’s currently No. 1 in the ITA collegiate rankings in singles. Turati is coming off a title victory at the ITF 15k Hilton Head pro event in September.